During IMTJ Summit the winners of IMTJ Medical Travel Awards were announced. 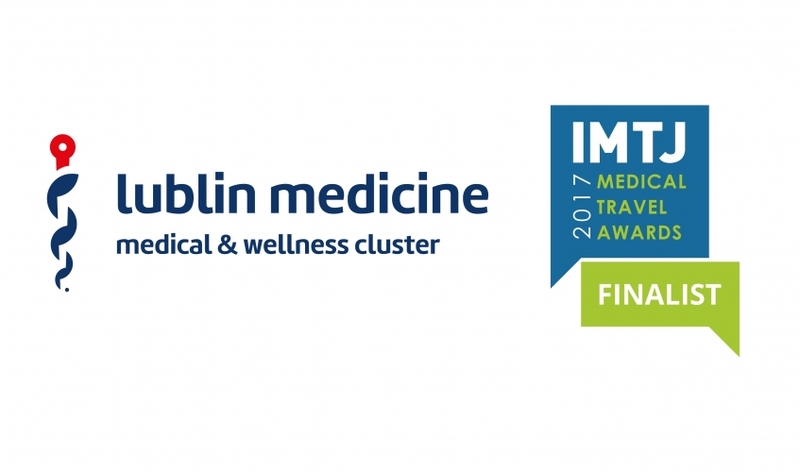 In 2017 'Lublin Medicine – Medical & Wellness Cluster' has reached the finalist stage in category ”Health and Medical tourism cluster of the year”. The IMTJ Summit is a high level event aimed at senior decision makers involved in the medical tourism and international patient market. It addresses the major issues that face the industry. Former Summits took place in 2016 in Madrid and in 2015 in London. During IMTJ Medical Travel Summit 2017 in Croatia in April 2017 Cluster was represented by Mariusz Sagan – Head of Strategy and Investor Relations Department in the City of Lublin – and Marzena Strok-Sadło – Senior Adviser, management board members of the Lublin Medicine Cluster. Participation in the event brought a great opportunity of Lublin offer as a potential inboud tourism destination presentation, recognition of trends in medical tourism, collection of knowledge about clients expectations and high quality processes organizations, best practices sharing and establishing valuable business relations. A number of meetings took place with potential buyers and advisers from United Arab Emirates, USA, India, Mexico, Germany, Great Britain and Russia, insurance companies and certification institutions. They will result in future in study visits to Lublin organisation and development of Cluster medical and wellness tourism offer. Lublin Medicine Cluster is a cooperation platform among higher education institutions, research centers, healthcare entities, entrepreneurs, institutions for collaboration and local authorities, Cluster was established in 2014 by representatives of the City of Lublin and Medical University of Lublin. Nowdays Cluster associates 113 members. About 40 of them ( medical services providers and tour operators ) are directly involved in cluster activity aimed to develop medical and wellness inbound tourism to Lublin and Lublin region. They are strongly supported by tourism industry representatives which work together although they are not formal Cluster members (mostly hotels and spa&wellness centers).